Home > Comments > ZESA: Who shall cut the tree? ZESA: Who shall cut the tree? Electricity left one woman dead and a young man badly injured in the Mucheke suburb of Masvingo recently. The heroic lady was trying to save the young man who had just received an electrical shock from a live ZESA power line at their home. The young man was cutting an avocado tree whose branches were now touching the ZESA power line thereby electrifying the whole tree and sending electric shocks into anyone who came into contact with the tree. Apparently ZESA was informed about the tree before and asked to come and cut it but demanded $60.00 for the service. The poor lady could not fork out the said amount and later ended up asking some youths to cut the tree. The end result was avoidable death and injury. We would however have expected ZESA to positively respond to this lady’s plea to cut the tree. After all it has the tools and skills to do the job. At the funeral the local community was appalled by ZESA’s conspicuous absence. Besides paying condolences here was a golden chance for the electricity supplier to conscientize the community on the dangers connected to live power lines. 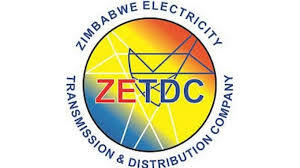 ZESA staff could have used the opportunity to provide information to the community on how to handle a person who has received an electrical shock. People need to know how to separate the person under an electrical shock from the source of power and the kind of first aid given to him or her if still alive after the shock. In any case why wait for someone to die before warning and educating people. We need to see ZESA mounting countrywide awareness campaigns where they educate people on how to use electricity properly and the dangers involved instead of taking it for granted that everyone knows how to handle electricity properly. We have noticed campaigns in the media on how to use gas in the home. Electricity is even more dangerous and should therefore receive more attention. We also need to know if ZESA is mandated to demand such high payments for cutting trees disturbing its live wires at homesteads.